Really, I thought, could #2 pencils be all that different? YES, yes they are! I've been buying the cheap pencils--officeWorks, but the lead seemed to break easily, even when sharpening in an electric sharpener. My kids complained about the eraser, too, and that also would just break off. What is a good home school mom to do? I decided to buy the expensive #2 pencils--Dixon Ticonderoga. They came in the package already sharpened, so I just stuck them in our pencil holder. Didn't really give it another thought until . . . my kids mentioned how they LoVeD the new pencils!! officeWorks pencil is on top. If you and your kids are having pencil troubles, too, here's what to look for the next time you are out. The Dixon Ticonderoga pencil obviously has the logo on the side and has a shiny green band instead of a gold one. The eraser is a light pink instead of dark pink. Here's what my kids had to say: the new pencils write more smoothly, they erase much better, and the lead doesn't break. My 9 yr. old showed me on paper that the Ticonderoga also writes a little darker. ﻿I couldn't resist giving the new pencils a try . . . and my kids are so right!! Cheap pencils stink. 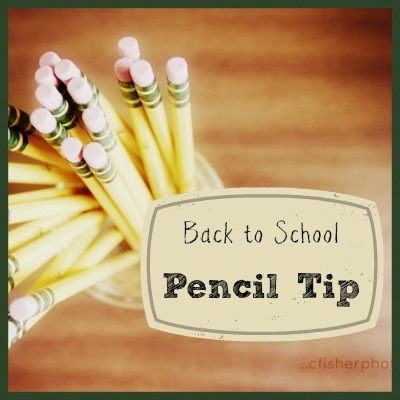 Dixon Ticonderoga pencils are awesome and work for us! Get 96 pencils for a great deal! I have not used them, but I have heard that they are good. I've seen our school's supply list and they specifically ask for those pencils. I'll have to get some! Several schools I know of specifically ask for those. My favorite pencils are the ones made out of scraps (recycled newspaper, denim scraps from a jeans factory, or old dollar bills) instead of wood. They have all the features you mentioned, plus they hold a usable point much longer because the material around the graphite is firmer, and there's no possibility of splinters! My kids love these, too!